Well, even though my little series is over and that one thrifted lamp has been thoroughly repurposed, I just can’t get enough of lamps. So to give you even more ideas on what to do with an old (thrifted) lamp I have gathered up some ideas. They all have me itching to go out and find myself another little lamp. 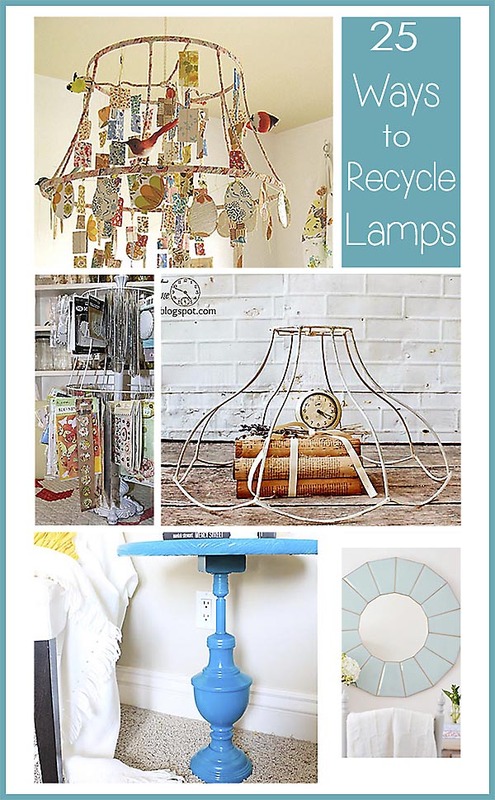 I hope you enjoy this gallery of 25 ways to reuse, repurpose and recycle lamps and lamp parts too. Awesome ideas !! Feeling bad that I had my old lamps removed by waste management officials of Toronto’s Junk It. This is a really helpful blog. I’m going to subscribe ! Keep sharing ideas like this! Kudos !